Recently when analyzing my own web site I discovered that the pages sizes on my web site were coming in at around 1.2 MB to 1.5 MB total in size. These page sizes completely shocked me! 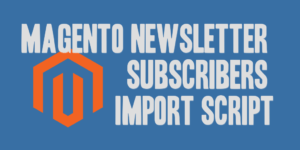 I don’t use an overabundance of graphics, nor did I consider my content to be extremely heavy, so I was a little concerned about what was causing the increased bloat. So, to begin, I started looking at the possible culprits, and worked to identify what was causing the insanely high page sizes, and I encountered a shocking find. 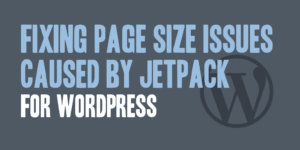 A single plugin was contributing to the shocking page sizes, and that plugin was Jetpack for WordPress. 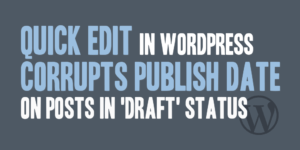 In addition to blocking the comment spam bots that don’t include a HTTP_REFERER header indicating the request came from your web site, as indicated in a previous posting Fight Back Against WordPress Comment Spam with a HTTP_REFERER Check, additional steps can be taken to combat comment spam. 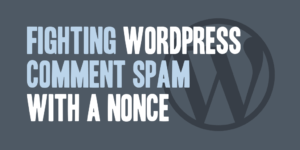 This post will discuss the addition of a nonce field to your comment form that verifies the request came from your web site and not from somewhere else.